Spy camera in clock with motion detection for sale at a good price you can buy online in our e-shop. Look a our offer and find what you look for. 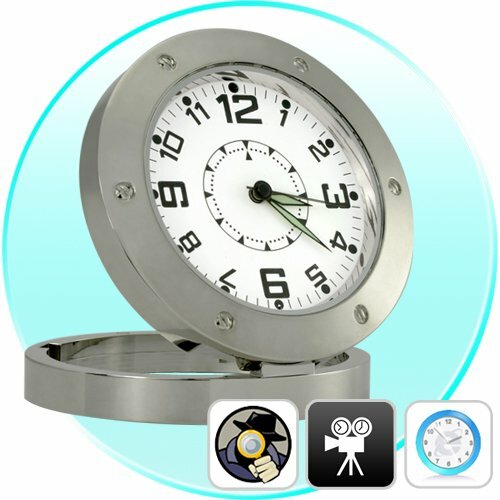 Spy camera in clock with motion detection for sale at a good price you can buy online in our e-shop. Resolution of clock camera 640 x 480px with a built-in lithium battery. 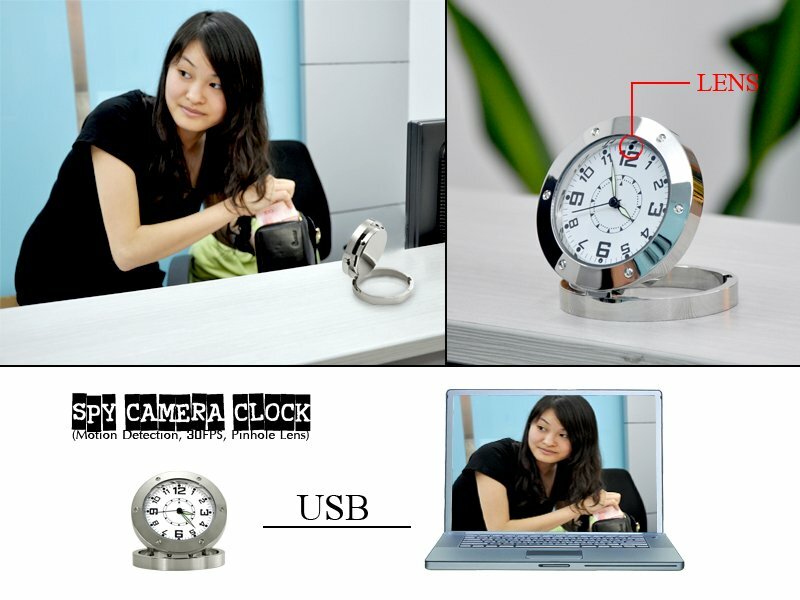 The spy camera in clock is very effective if you have suspicion that someone is stealing or cheating on you. 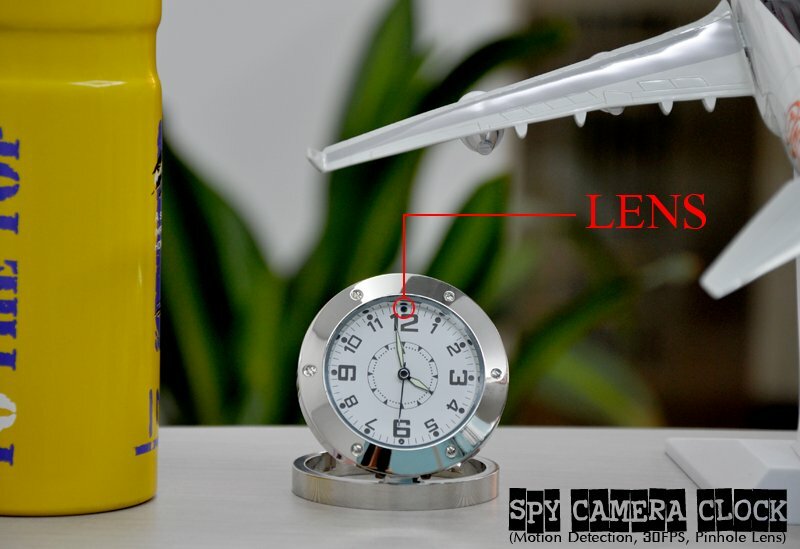 Now you can finally find out the truth with this great spy camera hidden in the watch. Just put the camera somewhere in the room on a table or shelf and just wait what will happen. Later, you can play all the important recorded videos and maybe you will be very surprised what you might see on the records from the camera. 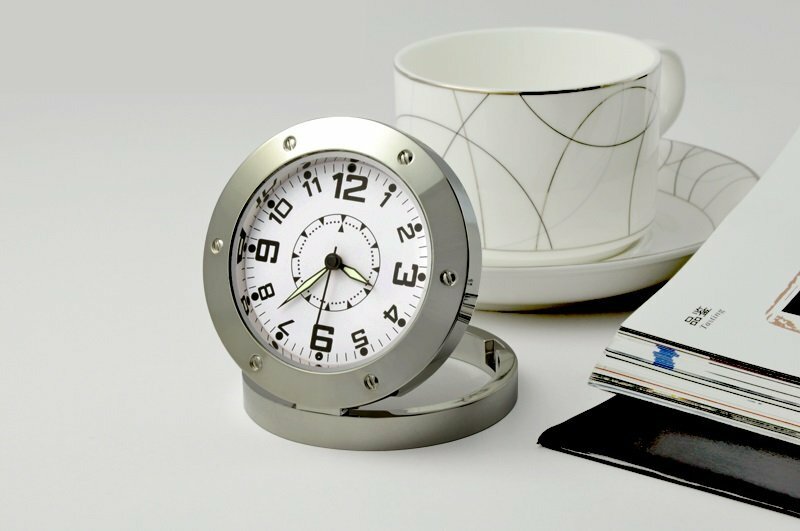 The spy camera in clock is made ​​of steel parts and looks very elegant. No one even think that it may contain a hidden camera. Built-in accumulator keeps the camera running at continuous video record up to 1,5 hours. Charging is by connection to a computer's USB port or by connection to any USB charger. Camera in clock records 30 frames per second in AVI format 640x480. 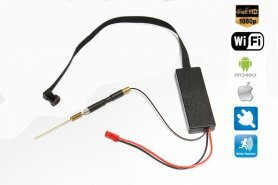 You can connect camera to your computer with USB cable and use it as a webcam or an external flash drive, and you can watch records on the computer. At the moment when the camera software determines that any movement has occurred (distortion of protected area), the camera starts video recording camera of length of 30 minutes.